We are confessed flower junkies and love to add to our ever growing collection of coffee table books. I recently bought this book for a friend and it was one that was hard to part with after reading the first few pages. Two days later this lovely book arrives again from Amazon with a loving note from Kaz - just because. 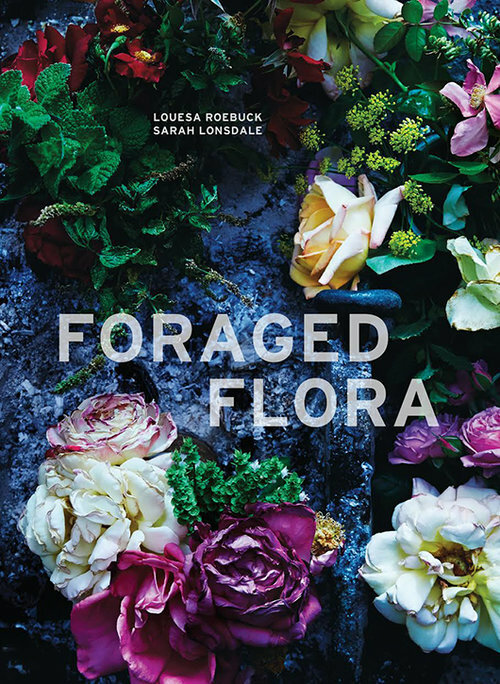 The term 'Don't judge a book by it's cover' does not apply to this master creation from Sarah Lonsdale and Louesa Roebuck. The cover is texturally irresistible with the perfect tones for my current coffee table situation. This romantic story of floral design will have you planning your next trip to your local flower markets and heading to the woods searching for 'endless beauty and bounty'. Style is in Danielle's bloodline, with her family being overwhelmed with artistic accomplishments. We have been closely watching the evolution of Danielle's work from oil on canvas artworks to the most incredible photography prints. 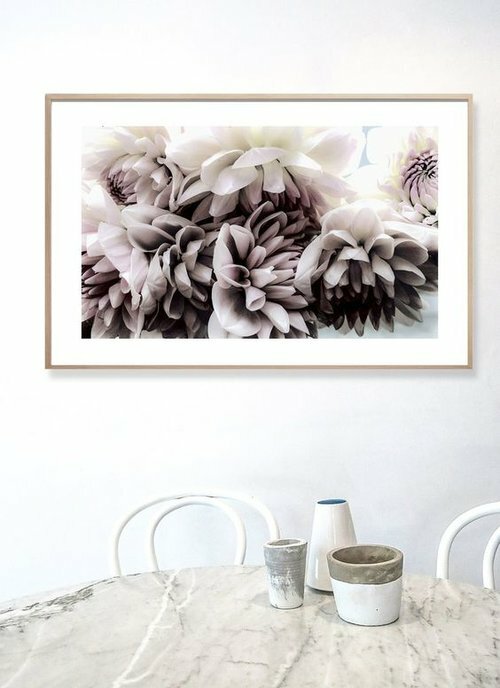 I have used many of her works in clients projects and have this new floral artwork on my lust-list for our Brooklyn bedroom. Living on the coastline of Sydney's eastern beaches with a background in Interior design - Danielle is positioned perfectly to create captivating artworks for a well loved home. Adding competing textures is a favorite style go-to for both Kaz and I. We love our linen but we are also partial to ANYTHING velvet. We are always open to the idea to adding more velvet into a space as not only does it look delectably divine, most good grade velvets are washable. Many homes who have kids tend to think this fabric is off limits until they become empty nesters, but a good quality velvet is washable and family friendly. F & P Interiors have hundreds of options to choose from in a range of different qualities and shapes. Kaz and I have both been blessed/cursed with wall lighting points in our Sydney properties. This has been a tough challenge for both of us to find the right lights that add depth, warmth and design to the our homes. Although we are now renting out our Sydney unit, I never stop looking for items on our 'shopping list'. Kaz is still searching for the perfect option for her home and this is the style I have earmarked for ours. I love to entertain and I love to own multiple sets of dinnerware to change things up at our dinner table. 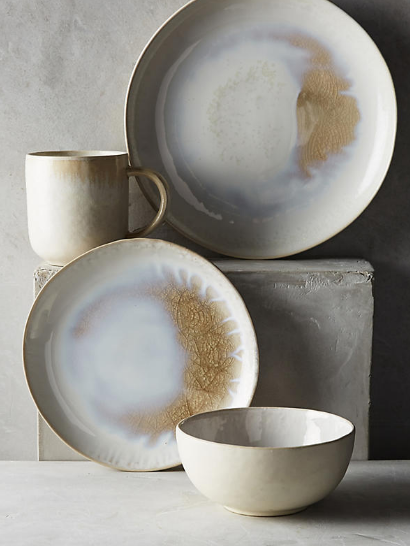 I saw this set last week and fell in love with the subtle fusion of glass and glaze. These plates are not only beautiful they are dishwasher/ microwave safe. I think pairing this set with a linen table cloth, some clear stemless wine glasses would be the start of a spectacular table setting for 2 OR 20. Having travelled to Morocco a couple of years, I jump at any opportunity to buy something that resembles a traditional Hammam Spa. The whole range from Atolyia reminds me of this exotic destination. Although this brand originates from Istanbul, Turkey - for me if feels like Morocco. I already own a few tea towels from them that I adore and these towels will be the next thing I add to my collection.